Mangal emerges from Rajna's dissertation research, and is a foray into creating a novel and dynamic notational discourse that attends to diverse aesthetic and ethical priorities in improvised music. Mangal is a homonym with unique meanings inn English and Sanskrit: the English 'mangal' refers to an assemblage of mangrove trees, whose roots are entangled in a chaotic web, making it difficult to individuate one tree from the interconnected collective; the Sanskrit 'mangal' is an epithet for anything that is harmonious or auspiciously timed. The hybrid imagery of chaotic but serendipitous multiplicity in 'mangal' serves as a poetic impetus for the improvisational flights and experimental textures of this project. RAJAS is a project that brings together contemporary musicians from the Indian classical and jazz/creative music scenes in New York City. The Vedantic term rajas refers to the inner human energy that compels us to act, to pursue our passions, to create, and to preserve ourselves. Described in the Financial Times as having "wedded beauty by courting chaos, with the methods of loose-knit latter-day jazz at the service of a recognizably South-Asian melody and pulse," RAJAS provides a forum to collectively contemplate new possibilities for musical concepts and sensibilities at the interstices of multiple traditions. The ensemble's debut album, Of Agency and Abstraction, comes out on April 26, 2019 on Biophilia Records. 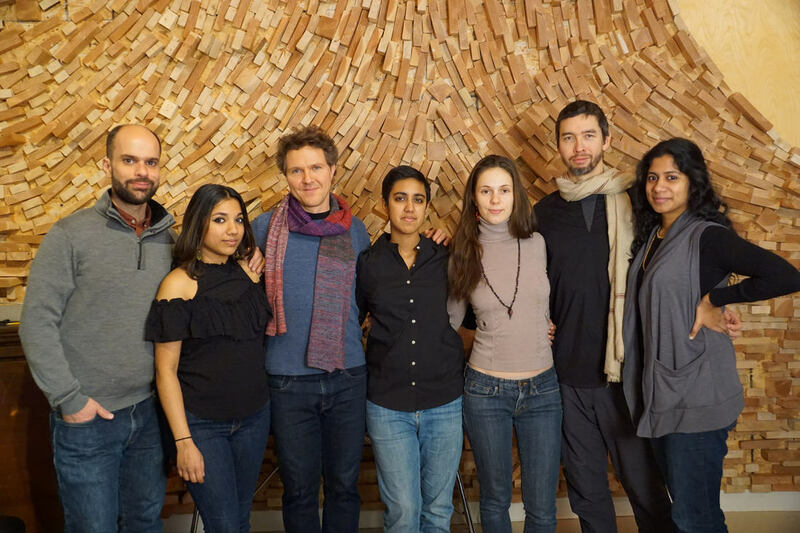 The album features Rajna, along with Miles Okazaki, Anjna Swaminathan, Stephan Crump, María Grand, and guests Ganavya Doraiswamy and Amir ElSaffar. RAJAS at the recording studio, December 2017. RAJAS at the Lincoln Center Atrium, November 2015.